VOBA is a member of the Type Club Coalition (TCC) started by the Experimental Aircraft Association (EAA) for the purpose of sharing information among the various aircraft-specific organizations. The Velocity Owners and Builders Association encourages you to check out these free sources of information on Velocity Aircraft: the factory's web site, the Velocity Wiki, and the Reflector archive.. Please feel free to Contact Us if you have any ideas, suggestions, corrections, or contributions. 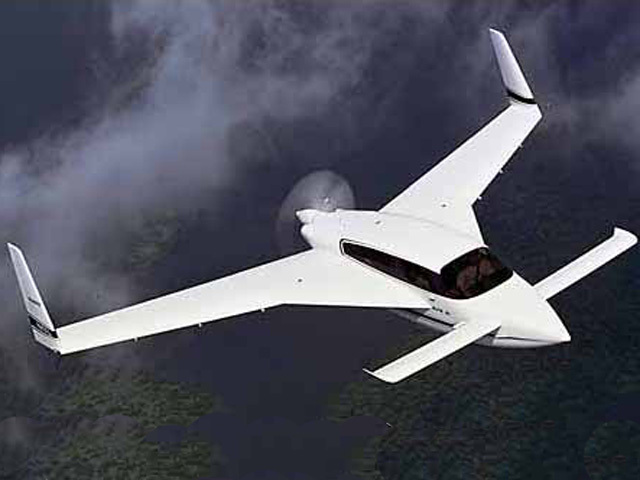 Aircraft type clubs are General Aviation’s best-kept secret weapon. While there are more than a hundred of them, they fly stealthily below the radar of most pilots, who seem to be blissfully unaware of their existence and benefits. Only a fraction of pilots belong to any of them, yet they offer the best value proposition in aviation: they’re cheap and they could save your life. No, I’m not talking about AOPA, EAA and the other large industry associations that have hundreds of thousands of members. Type clubs are smaller, usually only a few hundred or a few thousand members, and they play a very different role. While the large organizations champion industry-wide issues, type clubs are dedicated to helping owners and renters of specific aircraft makes and models. Most type clubs offer a newsletter or magazine and many have a web site loaded with aircraft details. But no two clubs are alike; each seems to have a slightly different emphasis. For example, the Cessna Pilots Association (CPA) is focused heavily on maintenance. Each time I had a maintenance issue with the Cessna T210 I owned ten years ago, I phoned the CPA before seeing my mechanic. Invariably, their experts were able to narrow down the issue so I could point my mechanic to the specific problem that needed fixing. That saved hours of troubleshooting and lots of money. Some clubs, like the Cirrus Owner and Pilots Association (COPA), have a strong emphasis on pilot training and safety. In addition to a very active online forum in which training and accidents are discussed in detail, they offer training at locations around the world in their weekend Cirrus Pilot Proficiency Programs (CPPP). Half of the weekend is spent in seminars on subjects like avionics and engine operation. The other half is spent in the air with a flight instructor, often factory trained, who specializes in teaching in Cirrus SR20 and SR22 aircraft. The payoff is that the Cirrus fatal accident rate, which was originally higher than the GA fatal accident rate, has declined steadily in recent years and is now slightly lower than the overall GA fatal accident rate. Not surprisingly, COPA members have far fewer fatal Cirrus accidents than non-COPA members. According to Rick Beach of COPA, the type club has over 3,700 members representing 2,900 Cirrus tail numbers, which is 55% of the 5,400 aircraft that have been produced. About 3,200 of the clubs members are certificated pilots, which is 40% of the total estimated 8,000 Cirrus pilots (including owners and renters). Beach says “In the history of the fleet, 25 COPA members were involved in the 103 fatal accidents or 24%. If Cirrus pilots were uniformly likely to be involved, then we would expect 40% to be COPA members.” Not only are COPA members about half as likely to be involved in an accident, active COPA members, those who participated in a BPPP or were active in online forums, are even less likely to have an accident. In the history of the fleet, 11 active COPA members were involved in fatal accidents or 11%, about one quarter of the accident rate for all Cirrus aircraft. Give yourself an early Christmas present: Join the type club for the aircraft you fly most frequently. But don’t just write a check; become an active participant. Whether you own or rent, you’re bound to learn more about the intricacies of that aircraft model. And if your family is lucky, what you learn as a type club member may someday save your life…and possibly their lives too. Max Trescott specializes in teaching in glass cockpit aircraft. He is best known for his Max Trescott’s G1000 Glass Cockpit Handbook and Max Trescott’s GPS and WAAS Instrument Flying Handbook. He formerly worked for Hewlett-Packard and now is a full-time flight instructor. He is the 2008 National CFI of the Year. Visit Max’s website. This article was originally published at www.aopa.org and is re-posted here with permission. VOBA dues and donations will appear on your credit card statement as: CLB*Velocity Owners. Please Contact Us if you think you have been charged errantly.